Each of these delicate bracelets stirs up seasonal memories and anticipation with evocative charms. Ariana Ost has turned each season's beloved activities and sights into whimsical, sterling silver-plated charms. The bracelets stir up memories—and a touch of nostalgia—but also, anticipation for the next time spring, summer, fall, or winter comes around. 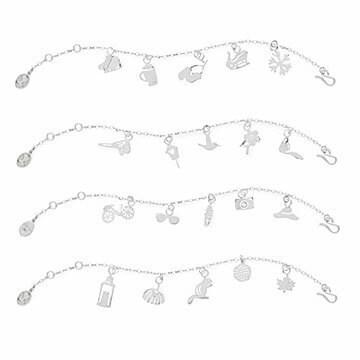 Each bracelet contains five charms.